Step Footwear is a concern of Baly Group of Industries (BALY Keds). 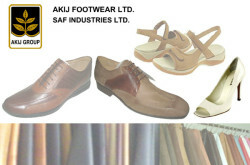 Step is manufacturer of super stylish, luxury shoes and sandals and sells its products through Step showrooms. Flip Flops, Casual Shoes for Men and Women, Kids Shoes. House 67/d, Block E, Road 11, Banani Dhaka 1213. Shop # G-63/64, Suvastu Nazar Valley, Shahjadpur Badda, Dhaka-1212. BAFWA Shopping complex, Airport Road, Tejgaon, Dhaka. Block C, Tajmahal Road, Mohammadpur, Dhaka-1207. Shop # 9-11, Mirpur Road, Lalmatia, Dhaka. Saha Ali Market, 2nd floor, Mirpur 10, Dhaka. 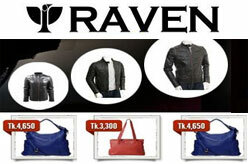 Level-A03, Shop – 002, Jamuna Future Park. Sheikh Mujib Road, Dewan Haat, Chittagong. Ground Floor, North Dorgagate, Amborkhana, Sylhet. ** Inbox product picture from Facebook / company website. ** Delivered by Courier Services (SA Paribahan, Sundarban Courier, Caratua Courier). ** Delivery Charge* – 120 Taka.